In lieu of flowers memorial donations may be made to Pleasant Springs Cemetery or Love Cemetery and left at the funeral home. 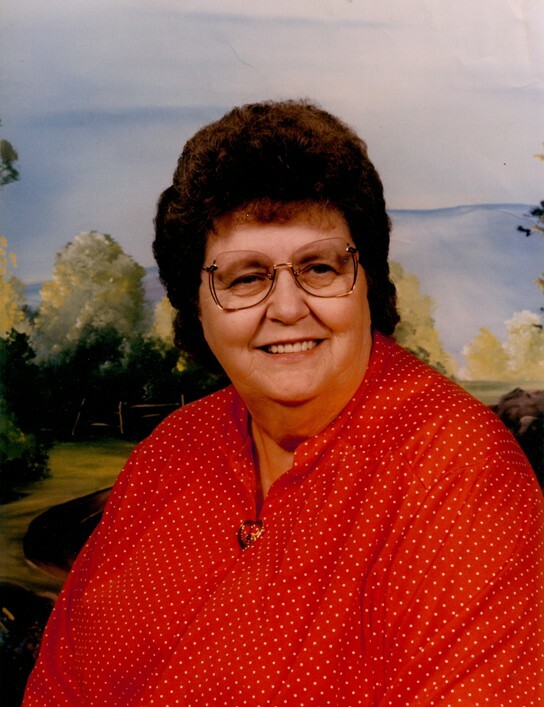 Lola Faye (McCullick) Amick, age 81, of El Dorado Springs, Missouri, passed away at Cedar County Memorial Hospital on Thursday, August 7, 2014. Faye was born on July 10, 1933, in St Clair County, MO, to John Alvin and Lorena Marie (Ellerman) McCullick. As a young girl Faye attended the Green Valley School and later graduated from El Dorado Springs High School in 1950. Faye married George Eugene Amick of St Clair County and they were married for 24 years before Eugene passed away in 1978. Faye and Eugene raised five children on a farm in Cedar County, MO. Family was very important to Faye. She enjoyed the times she spent with family and friends. Faye was a great mom, grandmother, and great-grandmother having time for each of her family members. If you have ever been in her home you could tell this by the numerous pictures she had on display. In her later years Faye attended Blue Ridge Church until her health prevented it. Preceding Faye in death was her husband Eugene, her parents John and Lorena McCullick, one brother Leroy McCullick, on sister-in-law Edith McCullick and a brother-in-law Jim Jones. Survivors include her five children: Diana Stiver of Springfield, MO; Eldon Amick, Ronald Amick and wife Anita, and Beverly Cunningham and husband George all of El Dorado Springs, MO; and Sandy Davey and husband Larry of Iantha, MO; three brothers: Leo McCullick and wife Joann, Bob McCullick and wife Joleen, and Wayne McCullick and wife Linda; two sisters: Leila Jones and Wanda Worthington and husband Wayne all of El Dorado Springs. She is also survived by 11 grandchildren and 14 great-grandchildren and numerous nieces and nephews. Funeral services for Faye Amick were held on Monday, August 11, 2014, at 2:00 p.m. at Bland-Hackleman Funeral Home, with Rev. James Coleman officiating. Burial followed in Pleasant Springs Cemetery under the direction of Bland-Hackleman Funeral Home. Pallbearers were Justin Amick, Danny Amick, J.R. Amick, Luke Davey, Kendall Burns, and Shawn Belcher. Honorary pallbearers were Ryan Oswald, Travis Keith, and Dusty Anderson.